When we released Charney’s Development Evaluation Survey for the Society for International Development-Washington last month, one of the surprises was how little use people concerned with development evaluation seemed to get out of the blogosphere. Only one blog we tested, the World Bank’s Development Impact, had significant readership. Fully 60% of those polled said they never went to development evaluation blogs — even though few were very satisfied with available development evaluation information sources. So here is a rundown of blogs specializing in development evaluation. They offer ways to keep up with developments in field, at important development institutions, or in particular methods. The best of the bunch is probably the Better Evaluation blog (www.betterevaluation.org/blog). The focus here is broadly methodological across a wide range of topics. 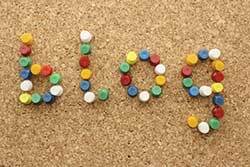 The blog stays up to date, with one or two entries a week, and the topics are largely practical methodological issues facing evaluators. The last three entries at this writing include articles on new developments in qualitative evaluation, working with children in evaluations, and evaluating large, complex, global initiatives. The blog is part of a larger website sponsored by nonprofits in the US, Europe, Asia, and Australia that aims to be a comprehensive information source for evaluators. An eclectic, broadly-focused blog run by an individual in Tblisi, Georgia, Larry Dershem, is Design, Monitoring, and Evaluation. It concentrates regionally on the Middle East, Caucasus, and Central Asia, but touches on a range of methodological issues that would also interest those working on other regions. Unfortunately, while the content is interesting, posts were quite infrequent in 2012-3. However there was one each in January (Evaluation Calendar) and in December (Proxy Means Testing in a Conditional Cash Transfer Program in Kazakhstan), which suggests it may be coming back to life. There are several blogs associated with the development banks, usually written by staff members and often highlighting their work. The World Bank, the largest, maintains two. Development Impact is the most active in the field, with two or three posts a week. It seems to be the most popular as well, read by 25% of the respondents in our SIDW survey. It contains a mix of evaluations (Incentivizing consumers against tax evasion, for example), fairly advanced and technical methodological items (How to Randomize Using Many Baseline Variables), and curated pieces on recent items of interest in the field appearing elsewhere. The other, an apparent newcomer last year, is the Bank’s Independent Evaluation Group (IEG) blog. This focuses more on the politics and policies of evaluation, as well as their policy implications. Recent posts include Lessons from Independent Evaluation, Making Innovation and Entrepreneurship Work for the Poor, and Evaluation Capacity: Who Needs It? The Inter-American Development Bank hosts the IDB Development Effectiveness Blog. It is fairly active, with about a post a week, mixed between development evaluation results, evaluation policy, and methodological issues. Its most popular posts of 2013 included one on The Costs of Crime in Latin America, Five Steps You Need In Education Evaluation, and a critique of randomized controlled trial evaluations. Eval-blog, from the African Development Bank, is the most modest of the bank blogs. The most recent post was dated April 2013, and previews the Bank’s quarterly journal on evaluation in Africa.The next most recent is a January 2013 evaluation news roundup. If there’s not more coming from this blog, it may go the way of Rhodesia and Zaire. The two other blogs we found are both related to specific evaluation methodologies. Evidence Matters, the blog of the International Initiative for Impact Evaluation, is, not surprisingly, devoted to impact evaluation. It’s quite active, with five posts from December 2013 to mid-January 2014. The focus seems broadly methodological and programmatic. Topics covered include distinguishing between program participants and whole populations, the relationship of monitoring and evaluation, and IIIE’s plans to look at HIV/Aids treatment. 3ie, as the overall project is known, funds impact evaluations and reviews with support from the Gates Foundation and UK development aid. The other blog is even more specialized: Running RES is the blog of the authors of a recent and well-regarded primer on conducted randomized evaluations, Rachel Glennerster and Kudzai Takavarasha. Agreeably, it is not just a series of ads for the book. Rather it looks at issues involved in applying methods the authors favor (pre-analysis plans and the replicability of random controlled trials) as well as some broader topics in the field (including the differences between policy and academic research — a subject far too rarely treated – and an interesting “smack down” on community driven development).